Shannon was recommended by a friend of mine and I was so happy with her expertise and honesty. She helped me price my house to keep in competition with the current market but made sure I did not out price myself. She gave me great suggestions in getting the house ready for showing. I listened to all of Shannon's suggestions and got a contract on my house with in 2 weeks. Throughout the whole process she was there for me and helped me every step of the way. Her knowledge and expertise of the housing market helped me in being successful in selling my house. She came highly recommended and I would highly recommend her to my friends. Thanks Shannon could not have done it without you. Bruce and I are so thankful that we chose you as our realtor. We had listed our home with another realtor for about six months with negative results. We became very discouraged and took it off the market. When we put it back on the market several months later and chose you, it made all the difference in the world. When the house was shown, you gave us feedback on what the people liked or disliked without us having to call you to find out. You even made a point to be present when other realtors showed the house so that you could point out positive things about the home and location that another realtor would not be aware of. When a potential deal fell through (nobody's fault), and then later on when we needed yet another appraisal, I became quite frantic. I remember you telling me, "Stop worrying about it, that's what you're paying ME for." You were always so calm, patient, and professional at all times. It was so nice to just sit back and not have to deal with all the hassles and stress. I don't know how some people sell their homes by themselves! You were able to sell our home in a very short time and as an extra bonus, we got a better price than we could have ever hoped for! We would certainly recommend you to anyone else who is thinking about selling their home. We met Shannon about two and a half years ago when we were relocating from New York to Tampa. Being not familiar with Tampa, it was difficult for us to decide whether we should build or buy. We had no idea about the type of home or location. Fortunately, there was Shannon with sincerity and readiness to help. At the onset, we explained our situation and told her that we were only investigating at that time and probably would not do anything for a while. Yet, she was ready to help. Since then, we have a very good professional relationship with Shannon. We built a beautiful house and continue to work with her for other investment purposes. Shannon is a very dedicated and reliable individual that we have ever worked with. Her desire and commitment to achieve maximum client satisfaction is outstanding. Even after we bought the property to build a house, Shannon was available to answer all our questions. Her suggestions for the design of the house were a big help. Unlike many Realtors, Shannon does her homework before talking to a client. We have no reservation to recommend Shannon to anyone for his or her real estate needs. We wish her all the best and continued success. Shannon, we would like to take a moment to tell you thank you from the bottom of our hearts for selling our home. Your professionalism, persistence and character was way above the standard that we expected from a Real Estate agent. Your marketing and advertising techniques are cutting edge in the industry. Thank you for communicating to us on a consistent basis during the process from listing through closing and after. We would recommend your service to anyone that needs to sell their home. George and I just wanted to let you know how much we appreciate all of your help in selling our home in Valrico Forest. As you know it was a very difficult decision to sell our home as we loved it and the neighborhood, but we felt that the opportunity to move back home to be near our aging parents was too good to pass up. Your professionalism and diligence in showing our home to prospective buyers was key in our getting the best price for our home as well as it selling in the time frame we had established. 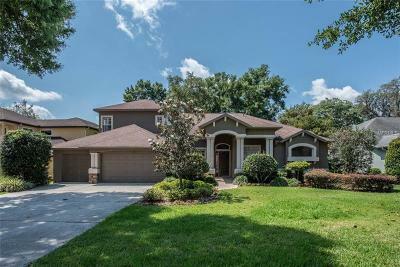 You were very helpful through out the process and we would be happy to recommend you to anyone who is looking to sell or buy a home in the Tampa Bay area. My wife Joyce and I met Shannon about two and a half years ago. We were, for the first time, going to build a new home. Although we have owned many homes - building is a different story. Shannon was extremely helpful with the process. She gave us many suggestions and even let us tour her home to see some of the modifications she had made to the plan we were buying. We would recommend her to anyone who is looking for a SINCERE REALTOR. We wanted to take the time to send you a brief note to thank you for all the time and effort you put into selling our home in Valrico Forest. We interviewed many agents and were advised that the value of our home was not as great as we had expected because of its location. You advised us that we had a beautiful home in a very desirable neighborhood and that it was worth much more. You demonstrated your understanding of the market by listing and selling our home in record time for a higher price than other agents had advised. Needless to say we were very happy with the outcome! Your patience was very much appreciated when it came time to purchase our next home. We knew that we would only be in it for one or two years and therefore were looking for a home that would not only satisfy our current needs but would also be very marketable in the near future. Your diligence in perusing the market, resulted in a residence that we are sure we will have no problem selling when the time comes, especially if we have you as our selling agent! In closing, we would recommend you to any homeowner that is interested in buying or selling a property. "Shannon assisted us with both the sale of our home and the purchase of a new one. We were so pleased. We not only sold the house fast but at a price more than we anticipated. Then when we purchased our new home she was most helpful in providing us a smooth transition. Shannon was able to show us how to sell with profit and to purchase with value." Shannon was available when we needed her and was ready with listings to match our various "want-to-have" and "nice-to-have" items for our home. She worked diligently to understand the home we were looking for and then gave us plenty of choices and every bit of information we could ask for concerning the amenities and neighborhood attributes. We would not have found our new home without her because her research before the sale and knowledge of the Brandon market brought to light an opportunity that was no longer listed as active by the MLS system. Then she helped us put our offer together and professionally and smoothly handled her portions of the closing. When we need a Realtor again we will give Shannon a call. If you are looking to sell or buy a home, you should too. We wanted to thank you for all of the hard work and advice you gave us with selling and buying our homes. Dave and I prayed that God would help us find the right Realtor and you were an answer to prayer. It was amazing how fast our home sold on Amethyst Way. The MLS listing on the internet with the write-up and pictures looked great. It was definitely an eye catcher and just what we wanted. We had a lot of people look at the house as you know and it sold in seven days! Wow!!! Our house selling so quickly was also an answer to prayer. Now, buying a house was another story. We truly appreciate all the time and effort you put into the Square Lake house in Bartow. You gave us a lot of sound advice when dealing with the seller and other Realtor. Even though things didnt work out with that house due to our lender, we know God had better things in store for us in South Lakeland. We are very happy in our new home. It has everything we had prayed about such as a third bathroom, neutral color scheme, large kitchen, and bathrooms. We want to wish you the best with your career and hope that we can stay in touch over the years. We believe that you were more than just our Realtor but a great friend! Shannon is a very organized person who did all her "homework" prior to taking us to see the houses. She was very knowledgeable especially in and around the Brandon area. She was persistent in looking up all the houses in our price range and calling the proper people getting an appointment. She gave us information as to what to look for standing in a home buyer's shoes. We never saw her tired or bored even though we kept on going...and going...home after home. We never felt pressure to buy anything, on the other hand she was insisting to look for more homes till we found the right one. We both felt some kind of an "inner peace" whenever we were with Shannon. We are very proud of our beautiful new home in a very desirable part of Brandon. We will definitely recommend Shannon to all our friends or relatives who would want to buy or sell a house. We wish her all the best. 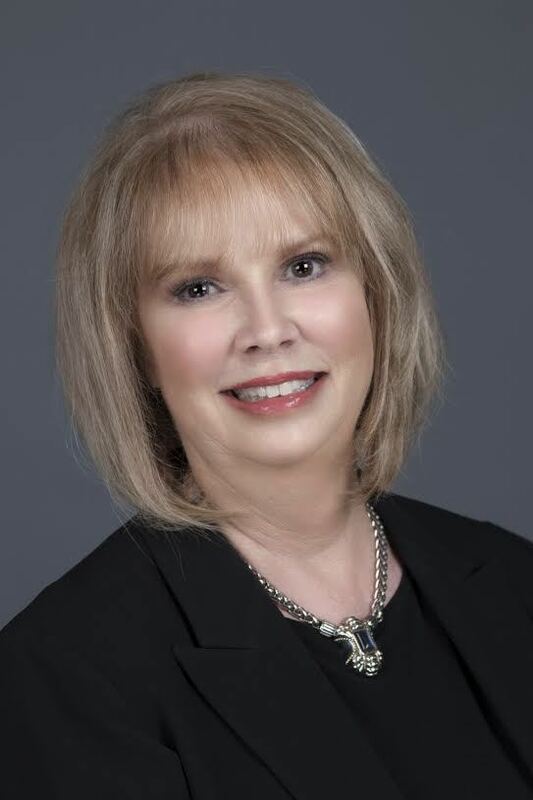 If you are looking for a Realtor to introduce you to your perfect dream home...look no further than SHANNON DAMSCHEN. Shannon "will take your vision and turn it into a reality". My husband and I were new to the area and Shannon patiently worked with us helping us to discover the home that was right for our family. She will listen to your idea of the perfect home and then formulate a battle plan to help you find it. We never found Shannon to be "pushy" even though, with us, she was often called upon to be long suffering, which she was without complaint. Shannon is a person of honesty and integrity that I would have no problem recommending. We are grateful to her for helping us find our beautiful home and making the whole process easy. I would like to say thank you again for ALL of the help you have given me Shannon, not only from the start with you being my Realtor but still to this very moment for being a friend. I really do appreciate that. happy our paths have crossed and that you are a part of my life. Thank you Shannon for being a friend & a great & wonderful person! Shannon, let me tell you what really stood out about you to me. Your over abundance of generosity to help me out no matter what the situation was & you didn't really even know me, but yet, you were still willing to help me out w/matter's other than what your realty job required of you. Not too many people would go to the lengths that you did Shannon. I'm sure you treat all your clients w/the exact loving care you showed me. Actually, people that do know each other extremely well wouldn't even go to the lengths of helping out & offering their home to their friends like you so graciously offered your home to me. Shannon, I can't say thank you enough for going over and above in what your job requires of you, & for always being so persistent in offering me a helping hand & for the REAL & TRUE care & concern I not only felt from you but, that I know you truly had & you showed & proved to me ten times over. I'm so glad that I made that initial call to you Shannon & left you a voice message & even more so, I thank God you called me back!!! Who knows how things would have turned out if you hadn't of called me back. I'm so glad you did!!! Shannon was a joy to work with. We originally gave Shannon a specific set of criteria in which to start our home search. That soon changed to a specific neighborhood of where we wanted to buy. Once we found a house in the neighborhood we wanted to buy, she was very instrumental in making the deal happen. Shannon is a dedicated and hard-working individual who I would recommend to anyone. "After six years in our home a new addition to our family made us desire more space. Shannon did a great job of selling our house as well as representing us in the purchase of our new home. Her ADVICE and SUPPORT were PRICELESS. Thank you, Shannon, for being a professional and a friend." After much deliberation, we decided to put our house up for sale this past February (2003). Unsure who to contact, we found a real estate company in the newspaper and placed a call not knowing who would respond. We couldn't have been more pleased when Shannon returned our call and came by to review the local market and list our home. Throughout the process Shannon diligently worked to market our home as well as assist in the process of building our new home... and it couldn't have gone any better. Shannon was there to answer all our questions, quell all our fears, and handle all the minute details. In addition, along the way a friendship was formed that will certainly last longer than it took to sell our home. Shannon, we thank you for all that you have done and look forward to your friendship as we work through the completion of our new home.